There was a crow in my mailbox yesterday...and a rather awesome one too! A little while ago Lee of Dancing Crow Designs contacted me if I wanted to receive one of her circle a day stitcheries and I was delighted to find out she had send me this stitched crow. Some birds speak more to me than others (not literally, I'm not a Bird whisperer although I like the idea of being a Bird whisperer) I really like crows and herons for example. And owls, I'm not over owls yet. Back to Lee's crow now! You can check out more of Lee's circles (love the latest tree additions!) here. Thank you Lee for generously sharing your talent! Don't forget to visit the &Stitches blog. 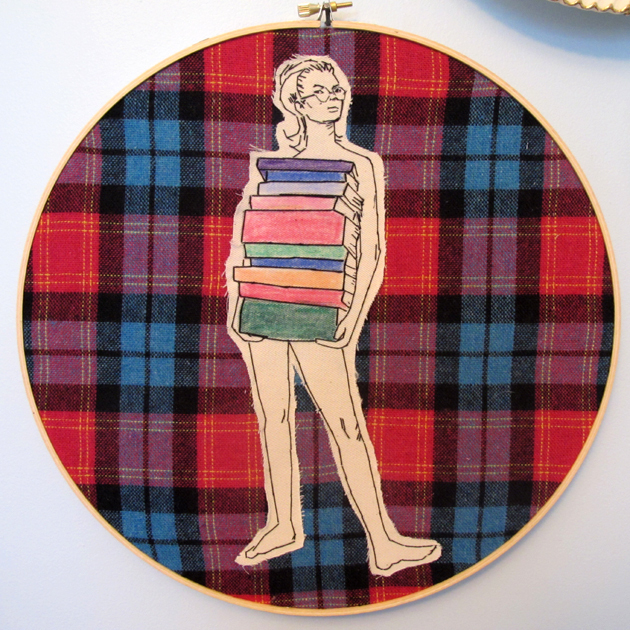 We have a fabulous giveaway of an original Lucky Jackson stitched work of art! I am enamored with the The Mincing Mockingbird and The Frantic Meerkat!! It's so difficult to keep on point and not go wild buying up every print in that shop. 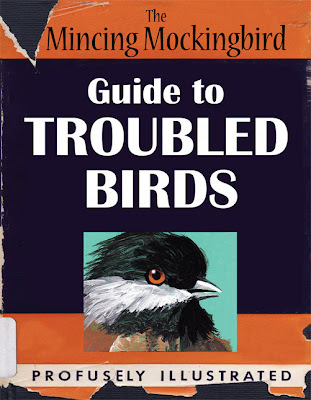 I bought a set of Mincing Mockingbird postcards earlier this year (obviously to send to people) and I just can't part with them! Have you got this book too? So funny! Love Lee's work ~ she's really using fantastic colors and design! I also really like birds (tho not a whisperer) ~ like to bird watch. 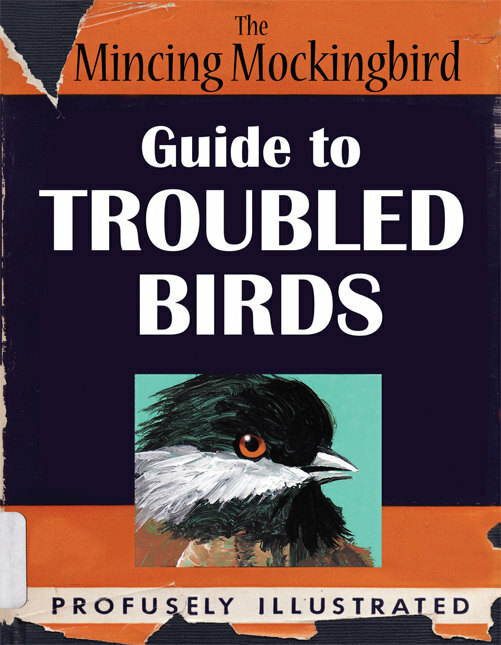 I had to buy the book 'Guide to Troubled Birds' and love the art in Mincing Mockingbird.